← Historic results from the Junior Olympic Championship Qualifiers! 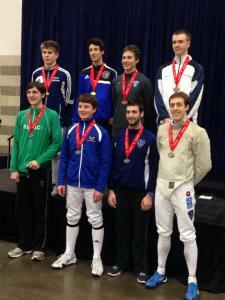 Our fencers represented VA and CFA wonderfully this weekend at the Dallas North American Cup. 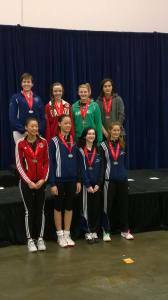 Veronica Weser got the ball rolling with a dominant performance in the Womens Epee. She finished 2nd in the event after a day of wonderful bouts, loosing to Canadian Champion Julia Barry 15-10. Douglas and Steppan both had wonderful results in the Mens Saber event as well, bring home Bronze medals. Douglas had an epic comeback in his first bout, coming from behind with 11 unanswered touches to defeat his opponent. 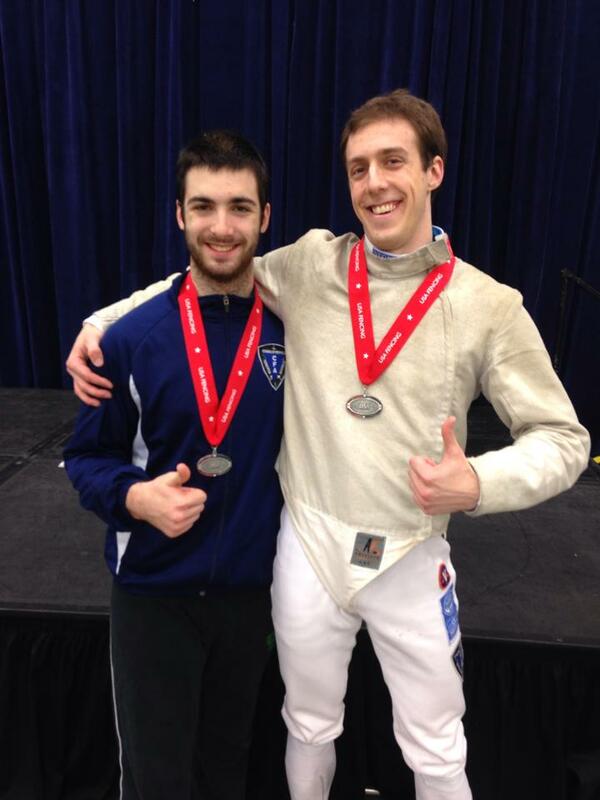 From there he dominated his bouts until loosing to the eventual Gold Medalist. Mattew Steppan was also a comeback kid that day. After a disappointing finish in pools he proved the old joke that the pools are just warm-ups by clawing his way from 43rd seed to defeat the 22nd and 11th seeded fencers before going out in the medal round to the 3rd seed. 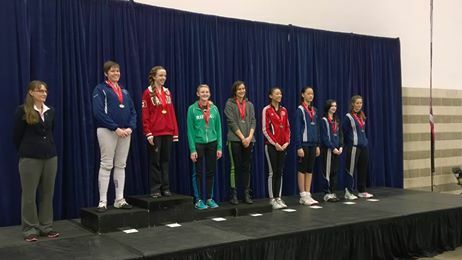 Congrats to all our fencers and to our first 3 national medalists of the season. You make us proud!